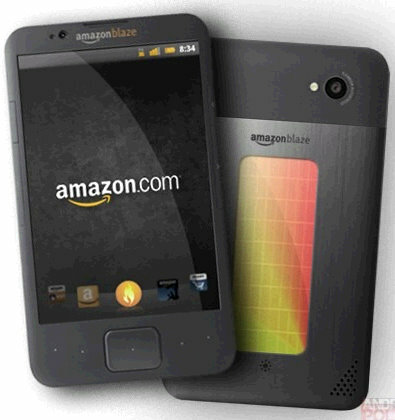 Amazon Developing A Smartphone To Go Up Against The iPhone 5? A dark horse may have just entered the intensifying smartphone race. Rumors are coming in that online retail giant Amazon, known for carrying a wide array of digital books, movies and music, is in the early stages of developing their own smartphone/mobile device that will go up against the iPhone 5. Citigroup analyst Mark Mahaney predicted back in November 2011 that Amazon had plans to release their own smartphone. Amazon had also considered buying wireless patents from InteDigital, Inc. before that company ultimately decided to sell their assets to Intel for a cool $375 million. Amazon is rumored to currently be setting up pitches and meetings with other companies and sellers of technology that they can use for their planned iPhone 5 rival device. As of this writing, Amazon has declined to comment on the issue. It does make sense for Amazon to try and enter the smartphone market. While they have had some success with their Kindle devices, creating an all-around device will potentially also allow them to increase the distribution network for their digital media products. While the smartphone market may already be crowded, it would be good to have another strong entry because it would force top manufacturers such as Apple, Google and Samsung to continuously innovate. Are you curious to see what the rumored iPhone 5 rival from Amazon will look like? Discuss in the comments below!